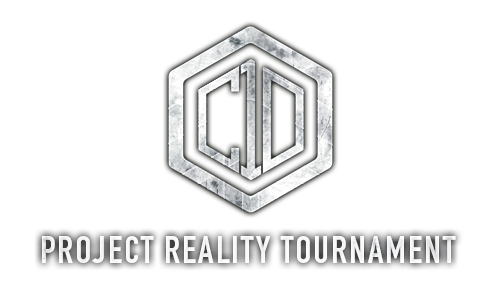 The PRT Management Team is happy to announce the return of the official Project Reality Tournament this fall! After receiving a lot of community feedback and DEV support, we have been working hard to revive the Tournament and once again bring you the most challenging and ultimate Project Reality experience out there. The new staff consists of PRT veterans and new members, and together we will bring you the next campaign including exciting new features. Designed for newcomers and hardened veterans alike, this campaign was adapted to fit the demands of all the changes of the mod that have been made since the last campaign. With PR having celebrated its 10th anniversary this year, this tournament will show you how the mod is meant to be played! In this large-scale campaign, the powerful Pan-Atlantic Coalition (PAC) will fight against the glorious Eastern Military Federation (EMF). Both teams will play specific factions throughout the campaign and work to overcome their foe in both the AAS and Insurgency game modes. We actively work for a good team balance that will result in some of the most thrilling and organized matches you will have ever experienced. Sign up and work your way up in the hierarchy of your team. Train with your team mates or learn the best techniques of PR from the veterans, organize events, collect map intelligence, develop battle plans and strategies to lead your team to victory! Find new friends to play with - from all over the world! Training sessions are organized by teams and squads. 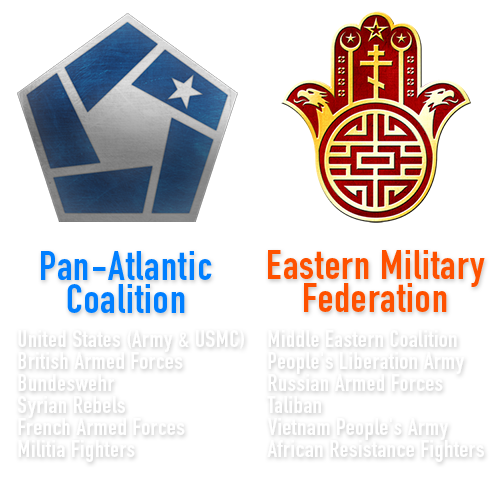 Two new teams: "Pan-Atlantic Coalition" (PAC) and "Eastern Military Federation" (EMF). Dynamic campaign board that requires strategy and planning between battles to win the campaign. 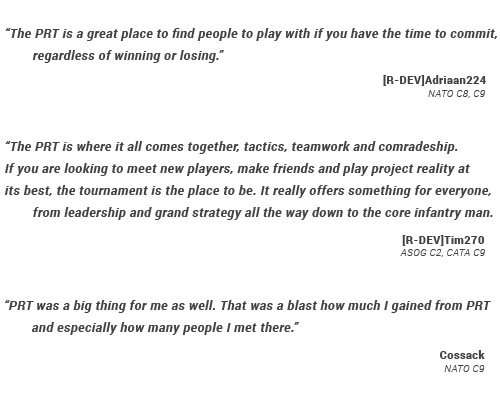 More information will be published as the tournament comes closer. The Officer Sign-Ups will open on: September 8th. The Grunt Sign-Ups will open on: September 15th. Follow us on Facebook, Twitter & YouTube to get the latest information on the tournament. Know exactly when the sign ups are announced and be always updated on the battle cycles. Finally! Noch wer am Start? BTW, wieso brauchen wir ein zweiten Thread zum selben Thema?